Home » Blog » Could Invisalign be Better than Braces? Could Invisalign be Better than Braces? If your teeth need to be straightened, you may have wondered if you could achieve a desirable outcome without having to wear metal braces over your teeth for a few years. Many people have heard about Invisalign at this point, but there still seems to be questions related to the efficacy of this system. To answer your questions, it is necessary to take a closer look at the system that has, in fact, evolved since its development in the late 90s. Originally, the Invisalign system was approved for slight misalignment. These “invisible braces” didn’t seem to do much more than correct mild turning or crowding of a few teeth, but that is no longer the case. This is because the developers of the Invisalign system have been very thoughtful in how they move forward. They have paid attention. If a certain movement wasn’t being achieved, changes were made to accomplish this goal. Tracking what didn’t work, as well as what did, has brought us into a new era of aligner teeth-straightening. Now, Invisalign is much more than invisible braces and much more than a way to straighten only a few, slightly-crooked teeth. In many cases, the answer is Yes! First and foremost, for Invisalign to become so successful, the system had to perform. We have seen this time and time again. Overbites, underbites, crossbites, and crowding; all corrected with a discreet aligner. Secondary to performance, one of the reasons that Invisalign is perceived as a better option than braces is that it facilitates optimal oral health. You don’t have to try to brush around fixtures over your teeth, which means far less chance of cavities. Of course, there are the little luxuries of the Invisalign method too, such as not having to give up your weekly bowl of popcorn, or that corn on the cobb. There is the fact that aligners are barely-there and not likely to be noticed when you speak or smile, and the convenience of fewer dental appointments. Are you ready to experience the Invisalign advantage? 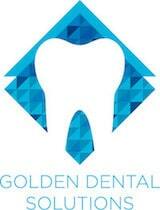 Call your Golden, CO dentist at (303) 277-9600.